The creases you can see are from the tea towel, showing just how thin the pastry really is! Work the dough into a ball. Flour the work surface lightly and through the dough from shoulder height back down onto the work surface. Beware – this is going to cover the kitchen with flour, so take precautions! 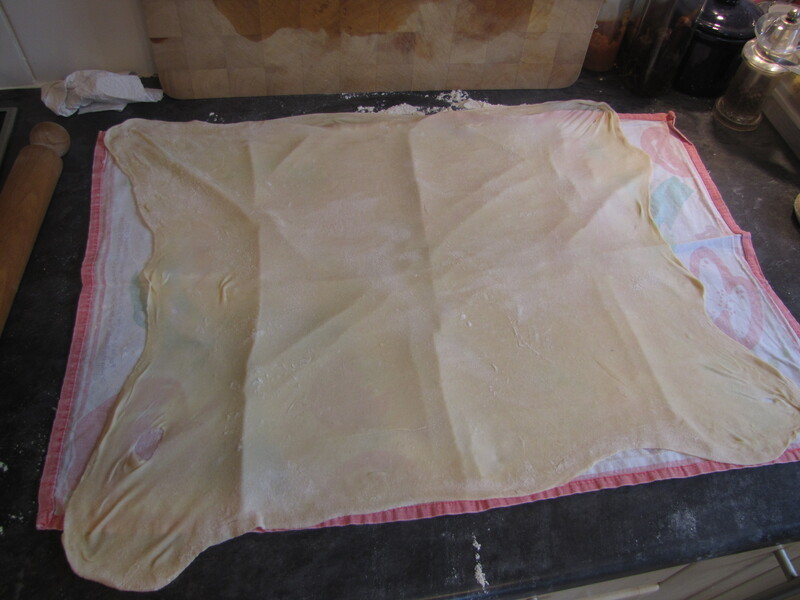 There you have it – a sheet of home made filo pastry, ready for your recipe!